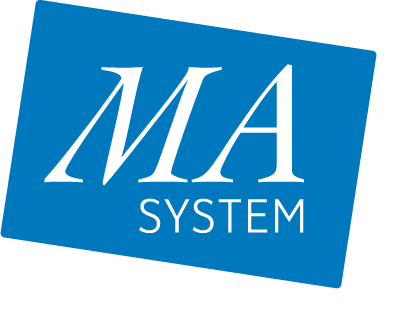 MA-system was founded in 1976 by Per Grettve as a consulting company in the field of business logistics. At an early stage the consulting business was complemented with a forklift truck driver education, conducted with an in house produced textbook. During the years that have passed the business has steadily expanded both in business areas and number of employees. Both local and multinational companies have been able to draw advantage of MA-system's knowledge in order to increase their profitability through our analysis, training and solutions. MA-system has always strived to create innovative and profitable solutions that simplify our customers' daily lives. In the late eighties this effort resulted in the development of the Warehouse Management System Astro which is currently one of the leading WMS systems in the European market*. In connection with the Internet's emergence in the late nineties, the Supply Chain Tool PipeChain** was developed. The philosophy behind this tool was that the flow in a supply chain should be just as easy to control as the flow of a water tap. Today PipeChain has more than five hundred customers worldwide. MA-system consist of MA-system Consulting and MA-system Utbildning. Thus, MA-system offer services and products ranging from strategic profitability analysis and Supply Chain Control systems to operational improvements of processes and education of staff. The name MA-system comes from the Swedish 1970s term for what we today call Supply Chain Management or Logistics; Material Administration.